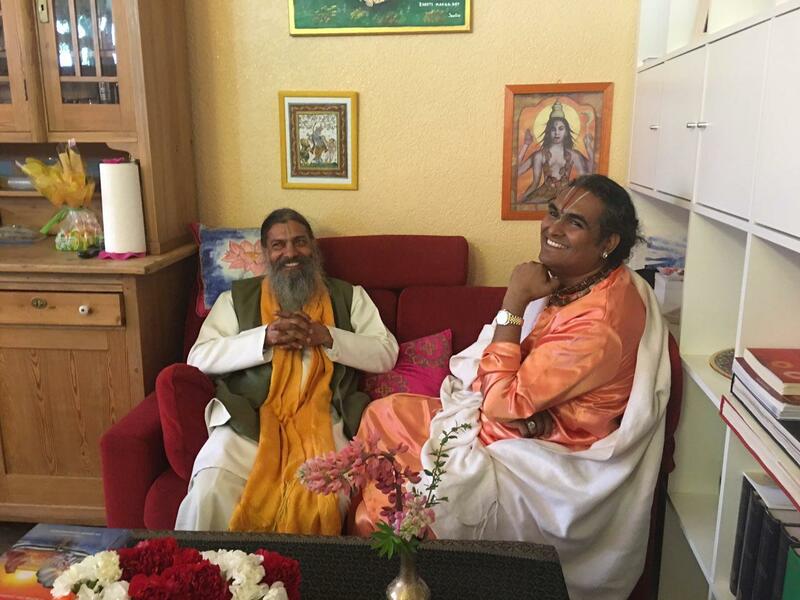 Guruji’s dear friend from Vrindavan, Dr. Satya Narayana Dasa Babaji, arrived yesterday for a short visit to Shree Peetha Nilaya on his way to a tour in Poland and Lithuania. Satya Narayana Das is a world renowned scholar on Vedic scriptures and philosophy, and co-founder and director of the Jiva institute of Vedic Studies in Vrindavan. 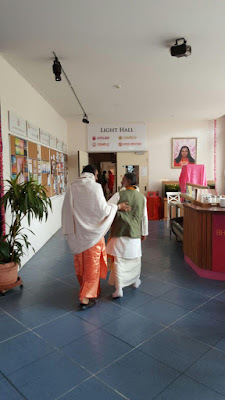 Guruji and Satya Narayandas visited the BM Academy Teacher Training in the afternoon, where Babaji gave a satsang to the teacher trainees about Vedanta (Hindu philosophy), and about the philosophies of the different sampradayas (spiritual lineages within Vaishnavism). Later on, after evening prayers, Guruji and Babaji visited the temple and sang bhajans with devotees. 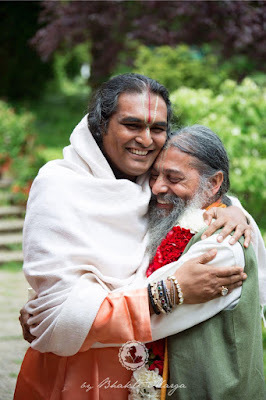 Guruji sang bhajans for Radhe, and Babaji sang the Gopi Gita with everyone, before the temple closed for the night with an arati.